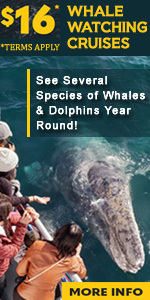 The California Gray Whale makes the most spectacular and longest mass migration of any marine mammal. Gray Whales migrate annually along the west coast of North America from the summer feeding grounds in the Bering Sea to the winter grounds of the Baja California lagoons and back again along the Orange County coast during the months of December, January, February, March, and April. How The Party Bus Was Born! One of the most popular leisure activities Orange County, California has to offer include 24 miles of beautiful beaches where one can surf, dive, bodyboard, hike, swim and fish. In addition to the world famous theme parks, Disneyland and Knott's Berry farm, Orange County is also home to such attractions as Wild Rivers water park, the Fun Zone at Balboa Peninsula, Discovery Cubeand Disney's California Adventures. Orange County also supports an amazing array of parks, natural preserves, wetlands, and forests, all remarkably well suited to year-round outdoor activity. The Orange County's Harbors, Beaches, and Parks Department oversees over two dozen parks which invite such activities as hiking, camping, fishing, bicycling, nature programs and just enjoying the beauty our parklands have to offer. For the golfing enthusiasts, we have many magnificent courses, from Pelican Hill Golf Club, one of the premier public golf clubs in the nation, to newer courses like Aliso Viejo Golf Club. In all, there are some 30 golf courses in Orange County open to the public, comprising Southern California's Golf Coast. Whether you would like to catch a concert at one of our many venues, or visit one of the many nightclubs for a night of dancing, dining and entertainment, Orange County has something to offer everyone for an evening out.